Call it a lack of interesting weather news, an overcrowded schedule, or maybe just writer’s block, but blogging has been at a crawl lately. In order to spark some life back into this page I’ve decided to return to my favorite topic: cloud seeding. Cloud seeding has a long history, not all of it pretty, and tonight I would like to cover some of its most spectacular hits and misses. It was 1952 and the science was only 5 years old. The wounds of World War II were still fresh and British military brass were looking for new ways to protect the island nation. Cloud seeding was proposed as a way to create thunderstorms on demand and stall or rebuff invading armies. Of course it had to be tested. And in August of 1952, befitting of the current Cold War climate, the British government performed secret tests on its own people. Called Operation Cumulus, Royal Air Force pilots flew over the North Devon region of England dropping payloads of dry ice, salt, and silver iodide. Shortly after it began to rain…and rain. 9 inches fell over the region in a span of 24 hours! 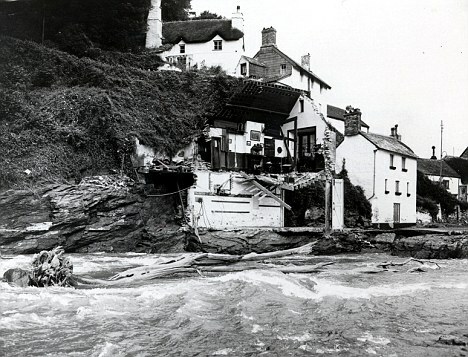 The coastal town of Lynmouth, where the River Lyn flooded the town, was the hardest hit. Tree were uprooted, dams broke, and sadly 35 people lost their lives. After the incident Project Cumulus was kept a secret. The flood was blamed on a cold-front, a severe thunderstorm, and waterlogged soil. As a meteorologist, I have to agree. The coverup was unnecessary and has unfortunately provided ammo to conspiracy theorists. Operation Cumulus ended up as a failure for multiple reasons. As the science progressed, governments began to look at different uses for cloud seeding. In the sixties the US began to explore cloud seeding as a tool to weaken hurricanes. A hurricane is a humongous, powerful, and complex system powered by the rising of warm, moist air. Nowhere in the storm is this upward movement stronger than in the eyewall. Hurricanes are strongest when they have a tight, defined eyewall. In the 1960s, scientists in the U.S. Hurricane Research Program wondered if a hurricane could be weakened if seeding occurred along the first rain band outside the current eyewall, broadening the area of rising air and decreasing maximum wind gusts. 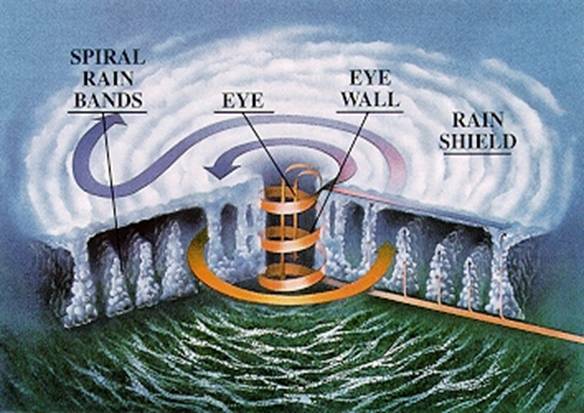 The process is essentially an artificial eyewall replacement cycle, when a new eyewall forms outside the old one, eroding it and taking it’s place. To learn more about the natural cycles and how they weaken storms, click here. The eyewall forms the edges of a hurricane’s eye and is the location of the most intense wind and rain. Project STORMFURY, as it was dubbed, began in 1961. Hurricane Esther was seeding and initially showed signs of weakening. However, the next day a second attempt was made on the storm and there was no change. Over the next two decades several other tests brought encouraging results. Again, the results were encouraging. Hurricane Debbie was seeded five times in August 1969. The maximum wind speed decreased from near 115 mph to about 80 mph, a reduction of about 30%. The hurricane was left alone for the next 24 hours, and the maximum winds returned to nearly 115 mph. After a repeat of the seeding, the maximum wind speed weakened to about 98 mph, a reduction of about 15%. Such reductions in wind speed are significant because the force exerted by wind is proportional to the square of the wind speed (a wind speed of 100 mph exerts four times the force of a wind speed of 50 mph). So small changes can have dramatic effects. A speed reduction of 10% to 15%, for example, would result in a 20% to 30% reduction in the force of the wind. But the results were not positive enough to continue the program. The project was scrapped in 1983 partially due to an inability to discriminate seeding results from natural hurricane fluctuations. It is possible we may never know the true impact of seeding on hurricanes. China has the largest cloud seeding program in the world today, and its not even close. They also haven’t shied away from making bold claims about said program. The boldest of which came during the 2008 Olympic Summer Games when the Chinese government claimed that they successfully used cloud seeding rockets to prevent rain from falling on the opening ceremony. Remember the ceremony…and the drums? 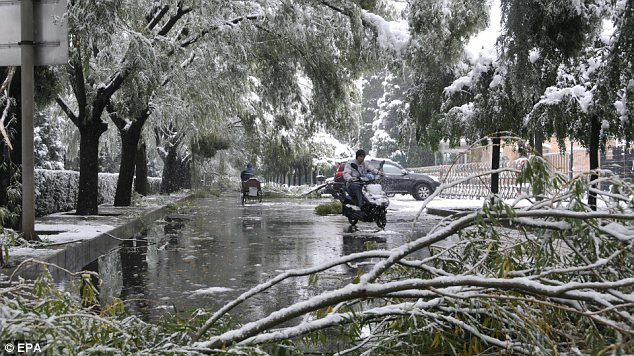 China claims cloud seeding kept this moment dry. Basically, the Chinese say they detected rain clouds upstream of the ceremony in Beijing and used seeding rockets to stimulate rainfall before the clouds reached the stadium. Believe what you want with this story. Even as a proponent of seeding I find it hard to believe this is possible. It just sounds like propaganda. I’d love to see some radar images from that day though. 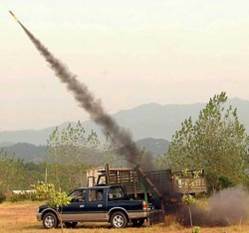 Cloud seeding rockets being fired from the back of pickup truck in China. Back to Beijing, one year later. This time cloud seeding was being used for something a little more practical: drought remediation. 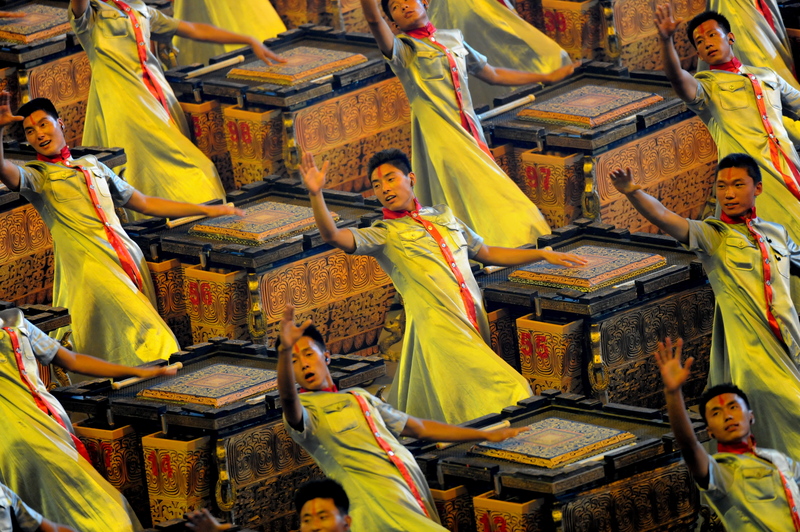 Seeding is used everywhere in China and primarily for this reason. It’s something that we could stand to try a little more here in the US, especially across the west and mid-west. Back in 2009, the drought in the Beijing region had been going on for a decade and seeding efforts were in full-effect. On November 1st temperatures unexpectedly dropped below freezing during a seeding operation and instead of rain, the city got snow! Oops! Seeding can give you extra precipitation, but not always in the form you wanted. Chalk this up as another risk when you attempt to modify the weather. I can’t see them making this mistake again: It’s simply too risky to seed if there’s any chance of temperatures being around freezing. One more funny little story. In the fall of 2009 Moscow’s mayor Yury Luzhkov promised that the city would not see any snow that winter due to Air Force seeding efforts. Apparently in Russia, seeding efforts much like China used for the Olympic ceremonies are used on national holidays. You can see the advantage of such a plan: clean streets, no school or work cancellations, and plenty of money saved. Unfortunately, it was just too ambitious. MOSCOW, Feb. 23 (UPI) — An estimated 12,000 snow-clearing machines were deployed throughout Moscow after a record-breaking snowfall of nearly 25 inches, officials said. 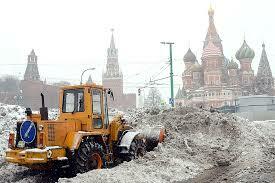 Snow from the weekend storm broke a record for February set in 1966, RIA Novosti reported Tuesday. Sorry Yury, the technology just isn’t there yet. Russian Winter 1, Yury Luzhkov 0. Much like Russian Winter 1, Napoleon 0 or Russian Winter 1, Nazis 0. It’s simply unbeatable, especially with our current knowledge and technology: it’ll be a few more centuries before we have a Star Trek-style weather net. It might be possible to prevent a couple stray showers from hitting a city, but a strong cold front or large blizzard is simply too powerful for any human intervention to stop. So what have we learned? I know, I know, it seems like I’m anti-seeding. I’d say if anything these stories show the importance of using it responsibly and with plenty of governmental transparency. It’s also true that successful cloud seeding efforts don’t typically make interesting stories. I look forward to reading your comments and questions. Talk to you next time. ← Did You Know? Auroras on Satellite! wildcard…why do you think the U.S. doesn’t take advantage of cloud seeding in regions susceptible to drought? Thankfully many states do use cloud seeding to bolster ground water reserves. The only issue is that a comprehensive, national program is what is needed for areas like the Southwest. We don’t see this because of political reasons. It’s unfortunate but we’re still a country who hasn’t fully embraced the reality of climate change, and that denial of a true human impact on the global climate system means there is little belief in the effectiveness of intentional weather modification. I also have to admit that the type of numbers cloud seeding produces are not overwhelming; about a 30% increase in the more successful programs. It’s an expensive process and without guaranteed success, it may not be fiscally responsible for many areas. It should be used more, but very responsibly in a way that is not only safe but maximizes the money put into it. Thank you so much for your question, and thank you for reading!